Maalaea is a town in Maui County. 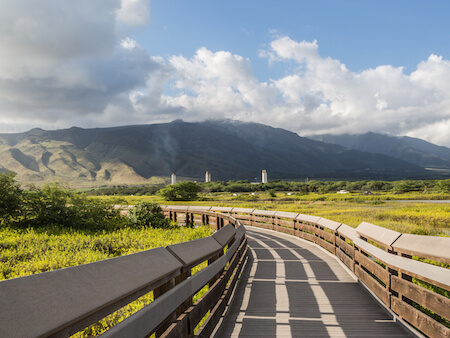 With a tiny population, a small boat harbor, and the Maui Ocean Center, Maalaea is a wonderful place to visit for surfing and local island culture. Here are the things you must do while you’re in town. Maalaea is known for its small harbor, a popular spot for a whole host of water activities and sports. Besides for water sports, the harbor also is the home of the Maui Ocean Center, Hawaii’s largest aquarium. The largest tank in the aquarium is 750,000 gallons, and is the largest tropical reef aquarium in the Western Hemisphere. The aquarium hosts sea turtles, sharks, and more. Maalaea is known as the home of Māʻalaea, a.k.a. “Freight train”, a right-hander off a breakwall and over a shallow coral reef. Māʻalaea is largely considered to be one of the fastest rideable waves in the world, and attracts surfers from all around the globe. If you’re up to the challenge, bring your wetsuit and dive in — but be warned, much of the wave is completely unrideable! 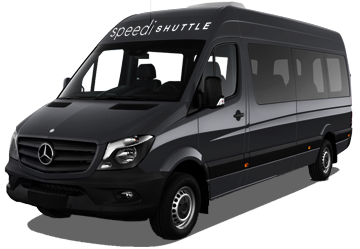 Reserve a SpeediShuttle for your next ride to Maalaea! 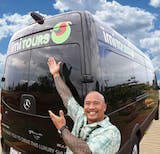 We offer Maui Airport Shuttles and Maui Tours around Maalaea. See what else Maui has to offer on the famous Road to Hana tour.